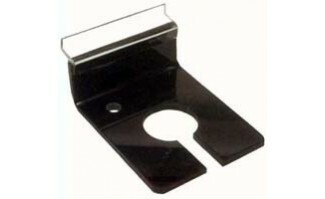 Our black acrylic guage display is threaded for security. The threaded end of the hose screws directly into the acrylic and is made to work with slatwall. Made in the USA.